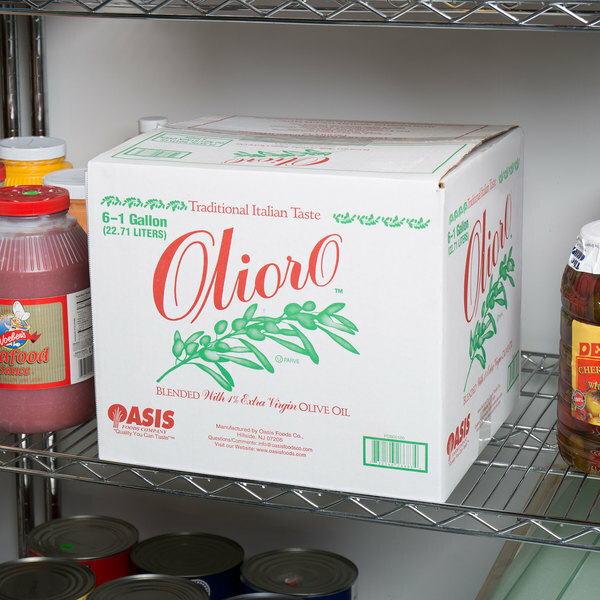 Perfect for frying and baking, this Oasis Olioro soy / olive oil blend is just right for everyday use. Featuring a blend of 1% extra virgin olive oil and 99% soybean/vegetable oil, this oil blend is perfect for a variety of cooking applications. With a high smoke point, this offers an inexpensive light frying option for your commercial kitchen. Plus, with its olive oil flavor, this versatile oil is also great for enhancing soups and sauces, as well as creating salad dressings, marinades, and vinaigrettes. 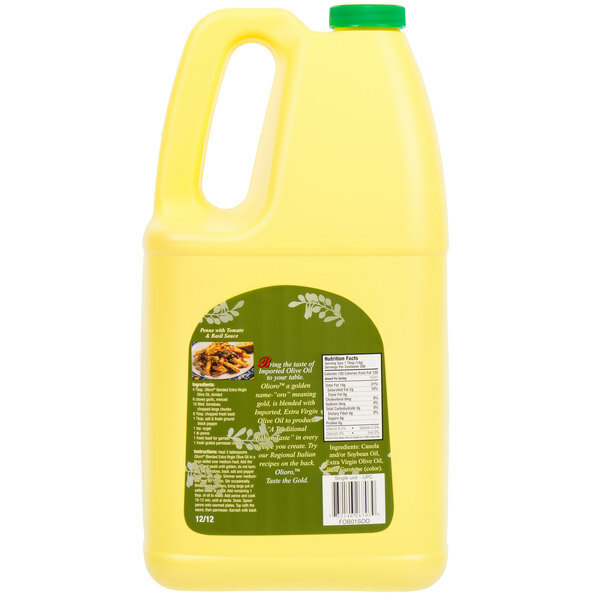 With zero trans fat and a high number of beneficial fatty acids, this blended oil is a healthy cooking oil choice as well. 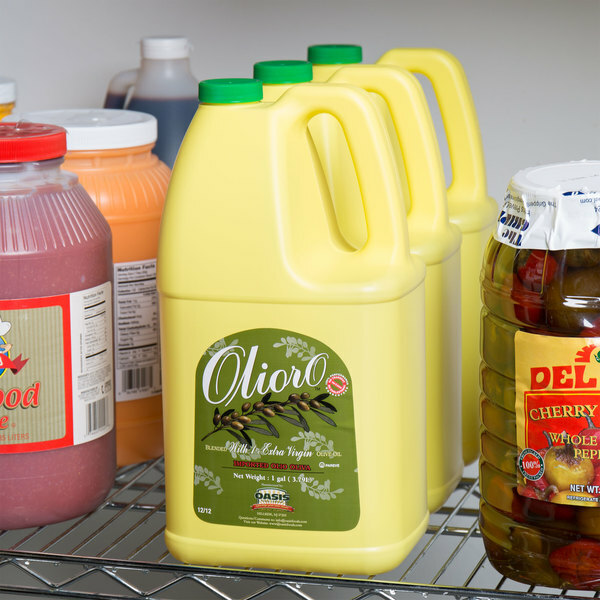 With (6) 1 gallon containers, you are sure to have a good supply on hand for all your cooking needs. 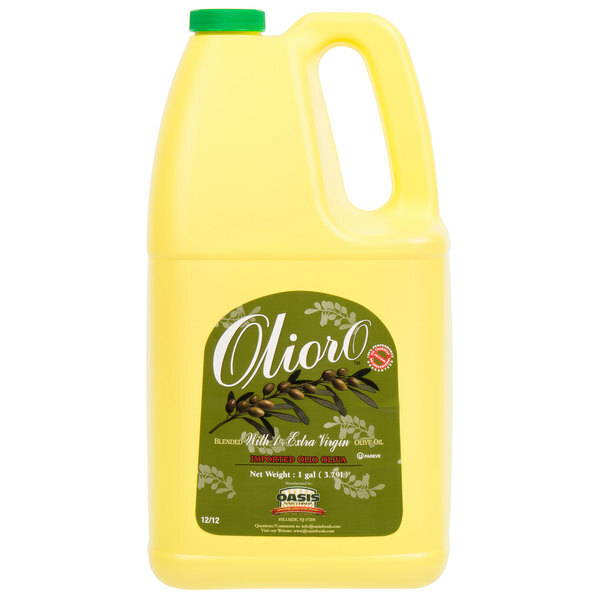 For exceptional taste and versatile use at an exceptional value, look no further than this Olioro soy / olive oil blend!